Another opportunity to drill wells for only $1,000.00 each! The World Bank Program we were a part of last year enabled us to drill 35 deep water wells in Chad for only $1,000.00 each. The going rate at that time was over $6,000.00. 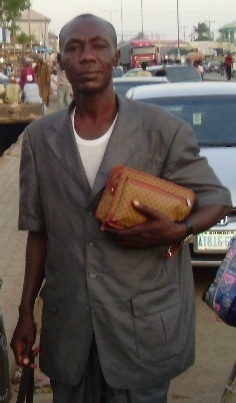 In the fall of 2010 we traveled to Nigeria to make arrangements to move our base of operation to Gombe, State. Three tribal chiefs during that visit offered us land to establish an agricultural training farm much like the one we had in Maiduguri, Borno State. So far we have not accepted any of these gracious offers due to the lack of funding and the demands of our work in Chad. Rambi Ayala our Director of Operations for Africa now based in Gombe State recently shared an opportunity that will allow us to move forward in making a good faith gesture to one of these tribal chiefs. In his district there are three villages that desperately need a well. The villagers have to travel from 10 to 14 miles by foot to the nearest water source. As you can imagine this is a great hardship on children and their entire family. They are limited to growing crops during the rainy season and suffer during the dry season for lack of food. With a well the children in these villages could attend school instead of spending the day going for water. 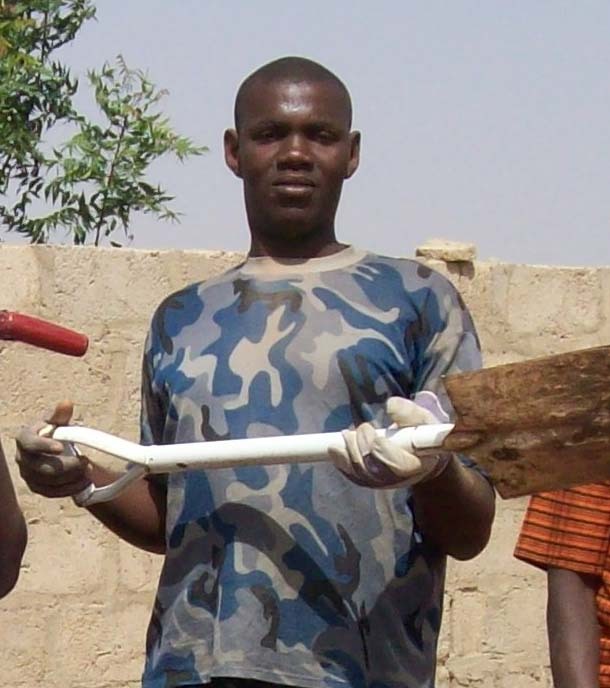 Villagers could learn the skills of dry season farming and grow crops all year long. So here is the opportunity. The Gombe State Government has agreed to subsidize all cost for the wells above $1,000.00 in all three of these villages. That is like getting three wells for half the price of just one! We plan to have our own well drilling operation here in the future, but for now this is a wonderful opportunity to relieve the suffering and hardship of thousands of people. Categories: New Wells, Well Drilling | Tags: Nigeria, Water, Well Drilling, Wells | Permalink. way to opening the hearts of these villagers to hear the Gospel. I have mentioned before how people from an animist background used to call ministers in Dono-Manga, “blood suckers”, because they thought they were just trying to get what little they had. This is no longer the case in Dono-Manga as people have seen the message of Christ coupled with love in action. 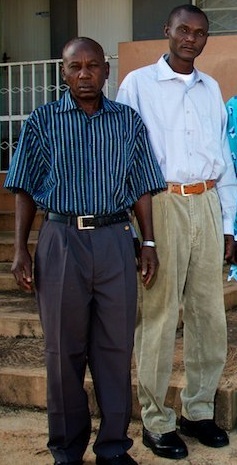 Would you consider partnering with these evangelists in reaching a village for Christ? 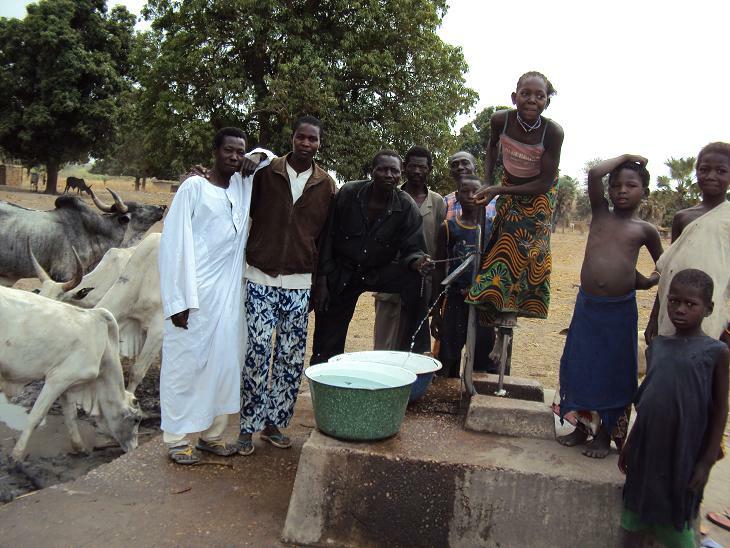 Each well can be repaired for only $400.00 and when repaired will provide water for 1500 people and their animals. But more importantly it will be a visual testimony of the love that Christ has for them. Much like Jesus did for the Samaritan woman at Jacob’s well, a conversation about physical water can turn into a message about living water. Categories: Dono-Manga, Well Repair | Tags: Animism, blood suckers, Dono-Manga, Well Repair, Wells, witch doctors | Permalink. Especially when we see a need that comes from clear across the globe. People we may never see. Situations we will never experience. It’s easier to just say “We need to work in our own backyards before we extend ourselves to other countries.” It’s easy to say, but the action seldom happens. 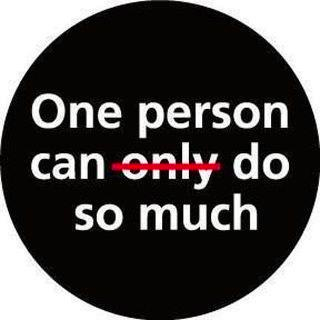 Even in our own backyards we fall back to “someone else will do it.” Yet, the “someones” have to start with some ONE. These needs across the globe are unique in that the people who are being helped do not have the opportunities we have here. 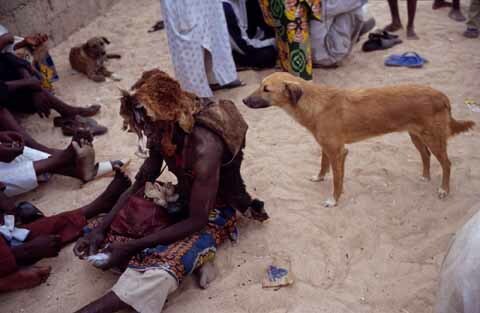 They lack the education, resources and are at the mercy of the elements to even attempt a change of their situation. It’s beyond them and up to us. A 13 year old girl asked for no presents on her birthday. Instead she requested donations to be made to Hope Springs International. She raised $500. A young man heard of the need of clean water and is currently halfway to his goal of $5000. 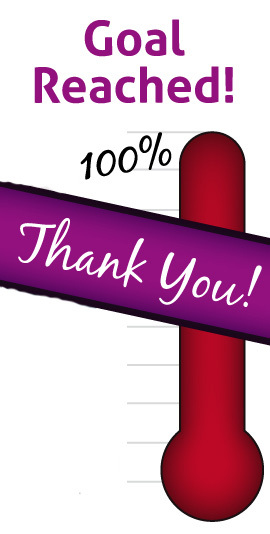 CrossFit Hendersonville just met their goal of $10,000 to help ship Hope Springs International’s drilling machine. Two kids, who have for the last three years got their school involved in seed packet donations, have provided thousands of seed packets for our work. These are just a few stories from Hope Springs International, but these are not isolated incidents. Please take a moment to consider Charity Water. An organization similar to Hope Springs was blessed by a 9 year old named Rachel. She started gathering donations for her 9th birthday and shortly after raising $220, she was killed in a tragic car accident. Since her death, donations have continued to roll in and total over 1 million dollars. 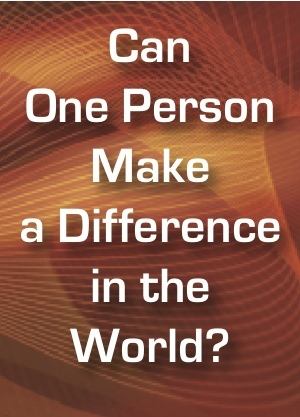 People have been moved by the action of one girl’s hope to change the world to provide for many. “A couple years ago we had one family step up one Sunday and made a commitment to build our orphanage after I mentioned it as a dream for “someday”. 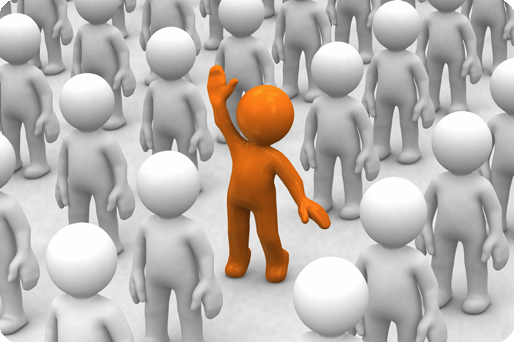 Very seldom is one person able to change the whole world, but one person can start a movement of momentum that CAN change the world. Will you be that one? We have ideas! Contact us: hopespringsinternational@yahoo.com. Hope Springs International is excited to welcome Alycia Adams Neighbors to our volunteer staff. 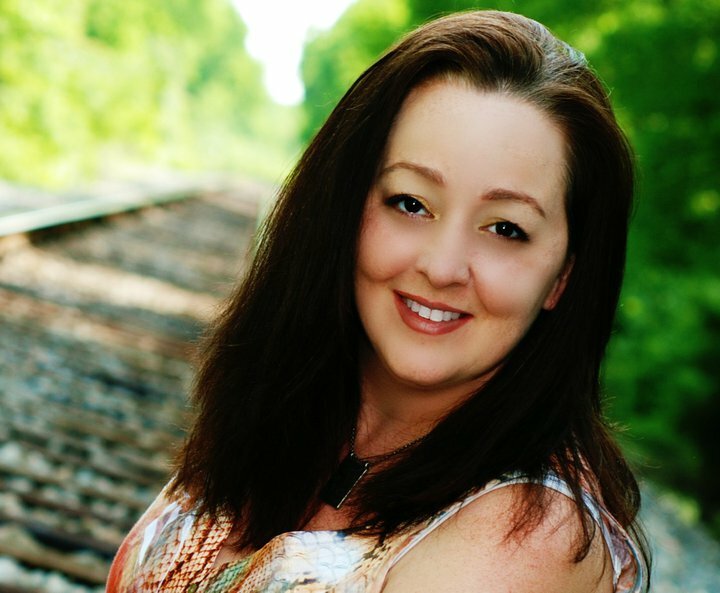 Alycia is a prolific writer and Christian mother. She and her husband Brian have seven children and live in Hendersonville, Tennessee. Categories: Uncategorized | Tags: compassion fatigue, cries of help, One Person, Starfish, starfish story | Permalink. The group is only about half the size it once was. 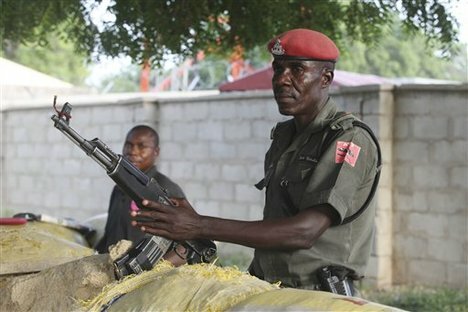 Many of the families fled when the Boko Haram terrorists began targeting churches with their bombs. Striking often during services and killing worshipers, but on this Sunday a faithful remnant continues to meet under the watchful eyes of armed guards. 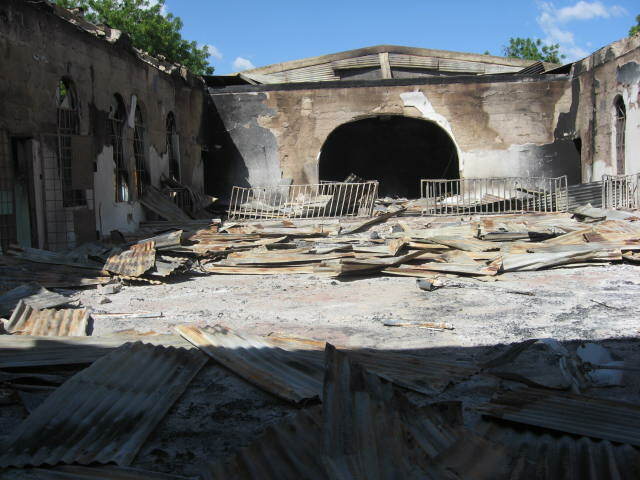 Celestial Church of Christ destroyed by a fire bomb. I received an email today from Thomas (not his real name) the evangelist working with this church. It will soon be two years since our team of four visited with them and met with the churches’ Elders. The Elders are gone now, but the smaller flock continues to worship under Thomas’ capable leadership. The small farm that was located in another part of town used as an outreach of love is no longer operating, but the well continues to provide water to all who are thirsty and come to drink. A testimony to the living water that is also still available. As I read the email from Thomas I was reminded of a different time and a different struggle, but the words of Martin Luther King still ring true as I think of this “little flock” meeting in the face of danger in northern Nigeria. “Throw us in jail and we will still love you. Threaten our children and bomb our homes and our churches and as difficult as it is, we will still love you. Send your hooded perpetrators of violence into our communities at the midnight hours and drag us out on some wayside road and beat us and leave us half-dead, and as difficult as that is, we will still love you. But be assured that we will wear you down by our capacity to suffer and one day we will win our freedom. We will not only win freedom for ourselves, we will so appeal to your heart and your conscience that we will win you in the process and our victory will be a double victory. “From: Loving Your Enemies. Ikechukwu was a leader among the youth group of this church until he was killed in one of the early Boko Haram attacks. Tertullian [160-220 AD], one of the early Church Fathers is credited with saying, “The blood of the martyrs is the seed of the Church”. There is something powerful about a person’s willingness to love rather than retaliate, even when faced with death. Is that not the power of the cross? Is it not also our power? Roman could not stamp out Christianity by physical force and the threat of death. In fact the more she persecuted the more the Church grew. The email from Thomas reminded me that love is stronger than death. Jesus told the persecuted church in Smyrna, “Do not fear what you are about to suffer. Behold, the devil is about to throw some of you into prison, that you may be tested, and for ten days you will have tribulation. Be faithful unto death, [even if being faithful leads to death] and I will give you the crown of life.” (Rev. 2:10). Will you join me in praying for those who continue to love their enemy even at the risk of death? Categories: Death, violence | Tags: Faithful, faithful remnant, little flock, Love, Love Stronger Than Death, smoldering city | Permalink. Their original goal was to provide a well somewhere in the world that would provide clean safe water for people who had none. 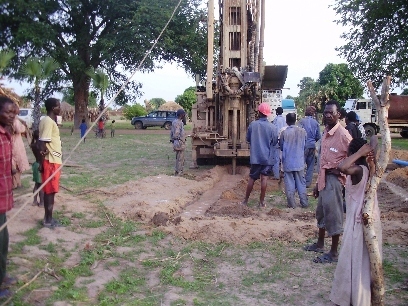 When they learned they could provide hundreds of wells by helping get our new machine to Chad, they were all over it. Their Facebook mission statement says, “CrossFit Hendersonville’s mission is to provide the most effective, balanced health & fitness program. The focus of CrossFit is to teach the foundations of proper movement and sound nutrition. Developing a healthy, vibrant, and strong community that impacts not only your life, but the lives of those around you is the heart of CrossFit Hendersonville. A big thank you to CrossFit member Kelli Johnson for introducing us to Lindsey and the whole gang at CrossFit Hendersonville. We would love to partner with you to bring lasting change to our world…one village at a time. Categories: Uncategorized | Tags: Chad, chad africa, CrossFit Hendersonville, Donation, Dono-Manga, healthy-living | Permalink. “Does God have different levels of compassion for children based on their geographic location, their nationality, their race – or their parents’ income level? Does he forget their pain because He is preoccupied with other things? Does He turn the offending page to read the sports section or is His heart broken because each child is precious to Him? Every one of these children is His child – not somebody else’s.” Richard Stearns, President of World Vision. 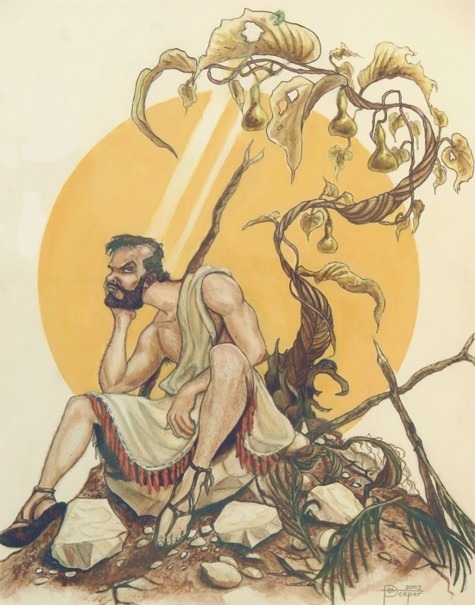 Often the next part of Jonah’s story is overlooked and this is where God makes another one of those impossibilities happen to drive home a point. God creates a great vine to grow automatically to cover Jonah and Jonah is pleased. Then God takes it away and Jonah goes back into dramatics. God takes this moment to share with Jonah His Spirit. The Spirit that doesn’t punish the innocent, the part of God when His heart is broken when He sees His children. 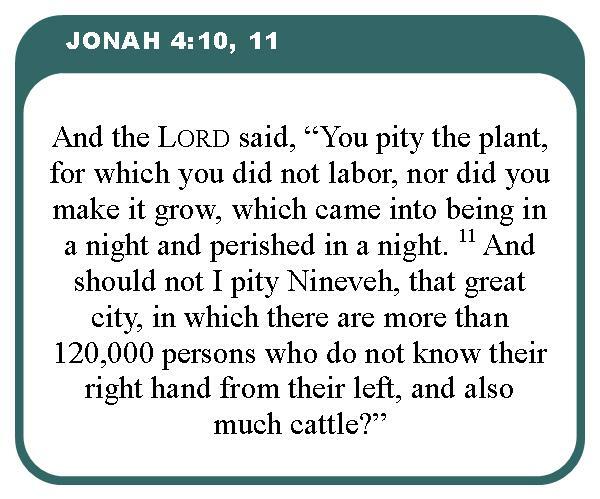 Jonah’s point was based on the city and that it deserved God’s wrath. In fact, he did just about everything he could to get away from having to even go there. He certainly had a disposition of “This is not my problem. This isn’t even my backyard. How often do we hear news about people who aren’t in our own backyard that are in desperate need? How often do we choose to look the other way, even when we know it is the innocent that are suffering. One of the points that the story of Jonah teaches us is that God’s heart is broken and ours should be too. We should follow his example of compassion to all, not to just who is convenient to us. Hope Springs is looking to change the next generation in Chad, a generation that is helpless to do anything about where they are and their circumstance; lacking knowledge, opportunity and without a clue about a God who loves them deeply. When we look at Chad, we see the ability to be God’s hands, feet and heart. To be ambassadors and representatives of God’s compassion and greatness. This sounds like something Jonah might have been saying. Is it something that you have heard in your own heart when you look across your backyard and across continents in need? “He defended the cause of the poor and needy, and so all went well. Is that not what it means to know me? Jeremiah 22:16. Categories: Chad | Tags: Chad, Children, Innocent, richard stearns, story of jonah, temper tantrum | Permalink. A doctor from the nearest Catholic Hospital is now making regular visits to our health center to assist our nurse in treating patients and is also providing consultations on some of the more difficult cases. Lead evangelist Pierre Rimorbe and Sebastien our school administrator are traveling to the capitol city of Ndjamena as I write this update to purchase the new solar powered refrigerator. This will allow us to store medications that require refrigeration and will further expand our ability to treat the sick. When the son of one of our key men was bitten recently by a poisonous snake, we learned firsthand how important it is to have lifesaving anti venom on hand. 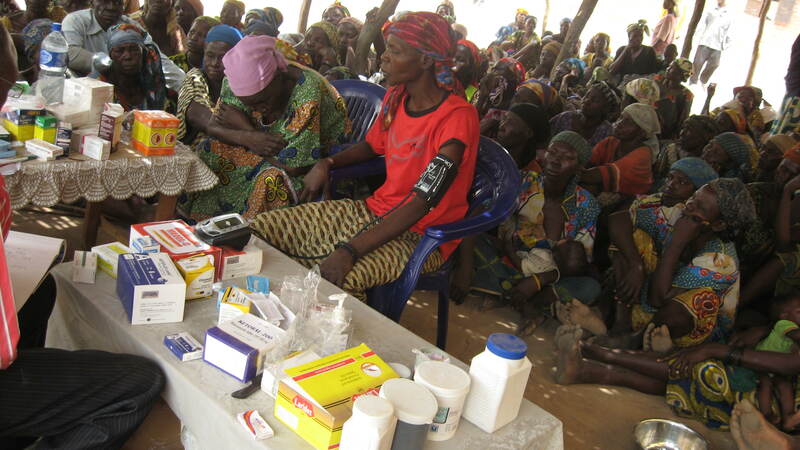 The Jordan Health Center continues to open the hearts of people who have trusted in village witch doctors and animist beliefs their whole life. They are not only being healed physically, but spiritually as well. Like many who came to Jesus for healing they are returning home healed of their sickness, and rejoicing in a new relationship with God through Christ. Don’t miss any of the exciting reports to come about our expansion program and new opportunities that God is giving us to be Jesus to the people of Dono-Manga. See the side bar and choose to follow us through RSS Feed or Email. Categories: Chad, Clinic, Dono-Manga | Tags: Chad, Dispensary, Dono-Manga, Jordan Health Center | Permalink.